I've got a very nice 30 key AC Norman concertina tuned as a Jeffries with one or two oddities. The right 1A key was tuned c#/c# rather than c#/d# for Irish music, but I'd like the d# back. Now with Andrew Norman's advice I went in and altered it - yes, there was a bit of solder on the reed, and I carefully removed it, but it is actually tuned now to c#/d rather than c#/d#. The c#/c# was not tuned as such by Andrew. Andrew also suggested I file it myself and use a frequency gauge or whatever the right term is to get it to d#, but I am really scared of making a mess out it. I can just mail the reed block (is that the word) to the right person? Click the sin on the right and a keyboard of different notes/frequencies pops up. Please let me know (and the charge). Hi don't be too scared to file the reed to the lower pitch. Use a trim to support the tongue. File the reed more or less along the hole length but not on the tip. You may use sanding paper glued to a stick of wood instead of the file. If the reed gets stuck in the slot adjust the tongue. But clean the edges of the tongue first with the file as well. 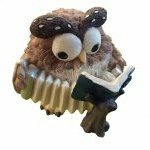 Do little for little and check the pitch so yo don't get to far with the filing. Check the pitch of other notes first to see where the other reeds are. May be the hole instrument is a bit off tune. Is not a lot of work to tune one reed a semitone lower, and usually this should be possible. just file the tip or in the last quarter of the tongue. If the tip is already very thin then this may be a problem to get it up in pitch as much you want. 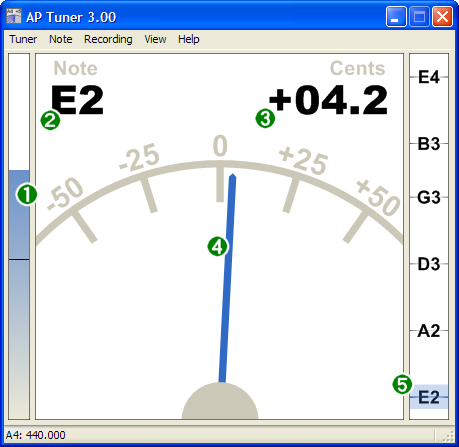 Try downloading some free chromatic tuning software (AP Tuner for example). This will enable you to accurately check the pitch of the note as you make adjustments. I have cut and pasted the display screen from the help pages. The idea is to get the needle to 0 for the note in question, in your case D#. Just google AP tuner, the download is available at a number of sites. 1. clean the edges with a scalpel, not a file! 2. when filing the tip, be careful not to compromise the edges! Hello all, thanks for the encouragement- if I do anything it will have to wait for the weekend! The 2A button, as it is as Jeffries is D#/D#, rather than C#/D#. I thought there was something funny at times. So so I actually have 1A D/C#. 2A D#/D#. Before there were 3 D#. It must have been due to some prior tweaking. I think I can live with that! Again thank you for all the comments but maybe others have this tuning as well. 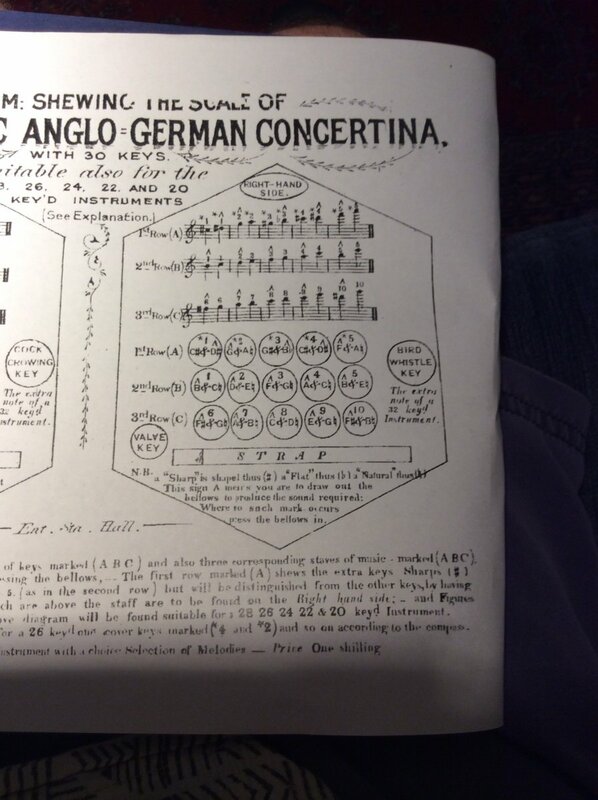 I did notice as I was looking for a musical staff/ button list that Royalance Anglo-German Companion 1889 has lots of tones tuned as flats in the Wheatstone arrangement for reeds, , but I am writing over it with Jeffries’ tuning in an effort to learn how to read music properly. I am sure the reason why is explained online, but someone may wish to remind us. I like those old instruction books, but for learners like me, Gary Coover is +++. See the photos of Royalance. I like the cockcrow and bird whistle. I hope some had a train, which would have added to the steampunk dimension. 1. This tuner app will probably assume equal Temperament Tuning. IF the Instrument in question is indeed tuned in ET (it likely is, but it's no given! ), it's safe to use the "absolute" frequency (but see below). If, however, the Instrument happens to be tuned in something like mean tone tuning, adjusting the needle to 0 may make the reed sound really bad. 2. Prior to attacking the reed, Larry should double check that the Instrument is otherwise not only in (ET, see above) tune with itself but also in concert pitch (meaning A should be tuned to 440 Hz). If that is not the case, meaning the Instrument is in tune with itself but not with respect to absolute Standard pitch, tuning the reed to a Zero needle will, again, make it sound off. If A is NOT tuned to 440 Hz but the Instrument is in tune with itself, then the 0 needle position for the D# must be adjusted so that it fits the relative Tuning of the Instrument. The tuner App possibly can do that, but it's sort of an expert mode. 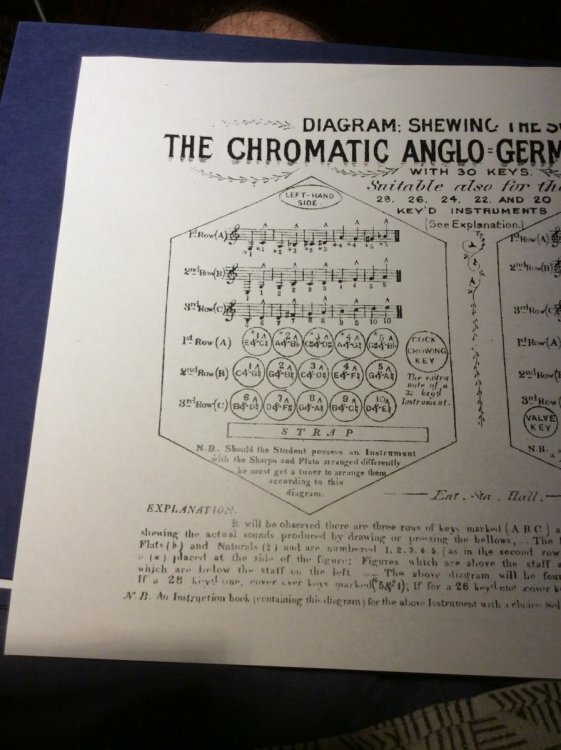 I made the suggestion of using a chromatic tuner as Larry's original post was referring to a tone generator, which would have required a very good ear to tune the suspect reed. He was also only concerned with a single reed, not a complete re-tune. The suggestion was made in good faith. I have a question for the tuning experts, not advice to the OP! A little solder is often added to the tip of a reed to lower its tone so is it feasible to add solder close to the root (or maybe the middle) of a reed to raise its tone? Sincere apologies to you, Rod; I did not mean to imply you were suggesting anything wrong. Yes, Larry IS concerned with a single reed only, but it was my Intention to point out to him that for a single reed to sound right in a given reed assembly, it has to be tuned to the system of all reeds in the assembly, not only to some absolute frequency (it is not unlikely that this means the same thing, but it's not a given either). Of course a complete re-tune is nowhere in the picture (I never mentioned that anywhere in my post; again apologies if my posting was unclear about this). Apologies also to Larry in case I stated something obvious to him. Almost certainly not so - solder on the tip is adding weight, as filing is removing wheight, but I don't believe you can add stiffness to the "belly" with solder (as oppposed to diminishing the stiffness by removing steel resp. brass material. Rather than doing any filing of any reeds what about adding the solder back on the reed you removed it from, and then simply swapping the reeds between the two positions to get the more standard Jeffries arrangement of 1A with D#/C# and 2A with C#/D# - if that is what you want. At least this would be reversible, while filing reeds is not. I would guess that the C#/C# and D#/D# arrangement as found was likely the result of someone previously swapping reeds. If you look at the concertina.info website, makers and repairers page, there are several in Australia listed, but I'm not sure if they are in your part of Australia. straight forward and easy to accomplish - there are several respective threads in the forums - you would have to file the solder then after having applied it to the tip in order to adjust the pitch.